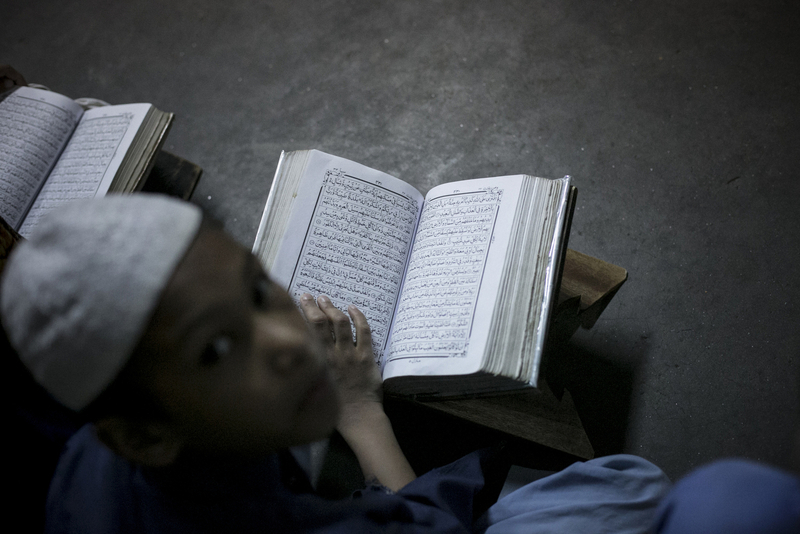 A boy studies at the Jamia Rahmania Arabia madrassa, where Mufti Jasim Uddin Rahmani who is the the spiritual leader of the Islamic militant group, the Ansarullah Bangla Team, used to teach, in Dhaka, Bangladesh. Rahmani is remembered as the "jihadist cleric" at the Hatembagh Jame Masjid where he led prayers and at the Jamia Rahmania Arabia madrassa where he used to teach. The Ansarullah Bangla Team, whom Al-Qaida has publicly praised, has been blamed for a series of murders of bloggers and activists in Bangladesh.